In Daddy’s Girl, Natalie Greco’s quiet and idyllic, if not predictable, life turns chaotic when a violent riot breaks out while she is teaching a course at the local prison. Nat rushes to give CPR to a grievously injured prison guard. Before he dies, he asks her to deliver a cryptic message with his last words: “Tell my wife, it’s under the floor.” The dying declaration plunges Nat into a nightmare. Suddenly, the girl who has always followed the rules finds herself suspected of a brutal murder. She encounters threats to her life around every curve, from ruthless killers desperate to keep her from exposing their secret. In the meantime, she gets dangerously close to Angus, a fellow colleague, whose warmth, strength, and ponytail shake her dedication to her boyfriend. With her love life in jeopardy, her career in the balance, and her life on the line, Nat is thrown back on her resources, her intelligence, and her courage. Forced into hiding to stay alive, she sets out to save herself by deciphering the puzzle behind one man’s last words. And learns the secret behind the greatest puzzle of all — herself. 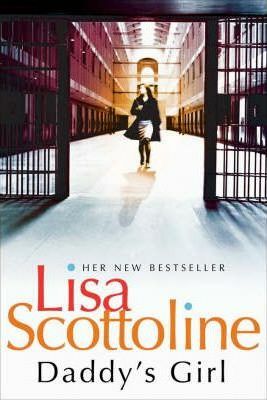 I could have sworn that I had read at least one book by Lisa Scottoline, but apparently not in the life of this blog. Here again is a book that has been sitting in my TBR for longer than I care to remember. Natalie Greco is a law professor, the daughter of a wealthy building family, used to getting what it wants. She is asked by another professor to take part in an outreach legal studies programme in a nearby prison. While they are there the prison goes into lockdown, a guard and three inmates are killed and Nat ends up holding the guard as he dies. Then it appears that the prison authorities have decided not to reveal what really happened, and their press release does not jell with what Nat remembers. When she tries to deliver the dying man's message to his wife it become apparent there are those who are determined to scare her off. More deaths occur and Nat goes into hiding. I found the plot a bit mind-bending, a little incredible, coupled with the fact that Nat herself is an appalling judge of character. She also seems to me to be a little young for the academic position that she holds. The author says at the end that the scenario is based on her own experiences in teaching the law. This book has been lurking on my TBR for longer than I care to remember. One thing that has put me off reading it is the small format of the paperback and of the print. I've been spoilt by the adjustability of reading e-books. Robin Timariot is walking Offa's Dyke while trying to make a decision about the rest of his life. His accidental meeting of Louise Paxton should have had no lasting consequences but her death only a few hours later draws him into her family. This is one of those plots that twists and turns and seems as if it will never end. Just when you think you have it all sorted out it darts off again. In fact I came to a conclusion early on about who was likely to be responsible for Louise Paxton's death, and, as it turns out, I was right, but not really for the right reasons. The plot meanders along a bit with elements about the cricket bat company that Robin's family owns, and then strands related to Louise Paxton's family. When Anna Maria Giusti returns from holiday to find her elderly neighbour Constanza Altavilla dead, with blood on the floor near her head, she immediately alerts the police. Commissario Brunetti is called to the scene and it seems the woman has suffered a fatal heart attack. Patta, the Vice-Questore, is eager to dismiss the case as a death from natural causes, but Brunetti believes that there is more to it. It soon transpires that there are some faint bruises around her neck and shoulders, indicating she may have been shaken. Could this have caused a heart attack? Was someone threatening her? Meanwhile, Brunetti meets Signora Altavilla’s son, Niccolini, who tells him that since her retirement she had been helping out at a nearby nursing home. Brunetti visits the home with Ispettore Vianello to try and find any information that might be connected to the case. While they speak to those she spent the most time with, it appears that there is some hostility between the residents, which raises Brunetti’s suspicions. Once again, he enlists the help of Signorina Elettra, who discovers that Signora Altavilla was involved with an organisation that helped women at risk, providing them with a safe house. Could this have something to do with her death? 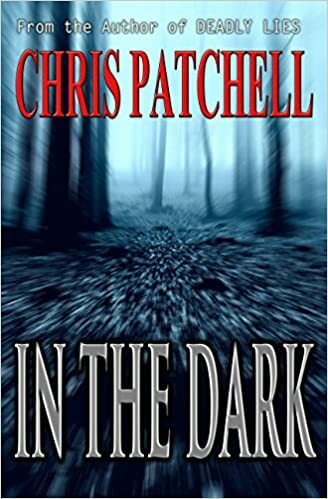 As the investigation takes an unexpected twist in events, Brunetti needs to find out the truth before it gets buried within a community that seems to be slipping deeper and deeper into deception and lies. There is always the danger too with an audio book that you can nod off while listening, and while he does an excellent job most of the time, Sachs' voice is a bit soporific at times. Other reviewers commented on how slowly the book moved. 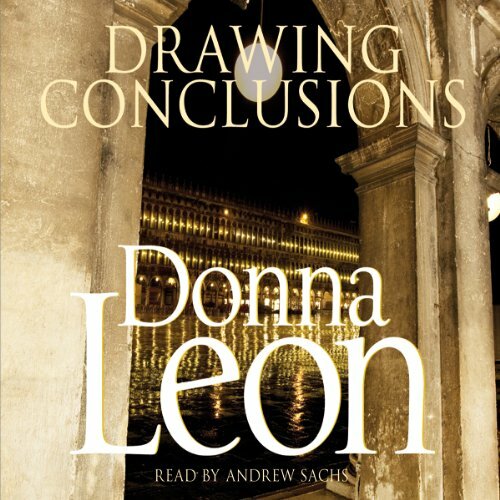 I have read a large number of Donna Leon titles and I think in part my enjoyment must have come from the fact that I have considerable background about the main characters: Brunetti, his colleagues and his family. I enjoy the interaction between them and the finely drawn portraits that lead to great visualisation. 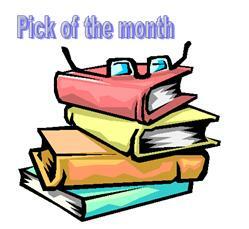 As usual with Leon novels the plot incorporates elements of life in modern Venice. So there is political and administrative corruption, problems of caring for an elderly population, social violence particularly towards women. Behind it all Leon's slightly quirky sense of humour shows itself. Agatha Christie revelled in the use of poison to kill off unfortunate victims in her books; indeed, she employed it more than any other murder method, with the poison itself often being a central part of the novel. Her choice of deadly substances was far from random – the characteristics of each often provide vital clues to the discovery of the murderer. With gunshots or stabbings the cause of death is obvious, but this is not the case with poisons. How is it that some compounds prove so deadly, and in such tiny amounts? 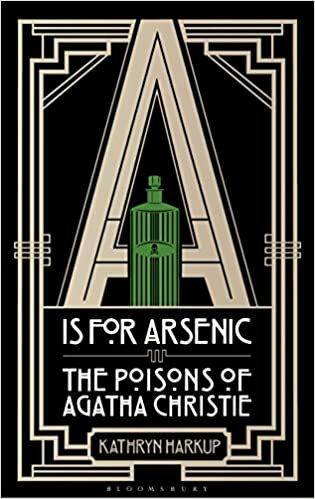 Christie's extensive chemical knowledge provides the backdrop for A is for Arsenic, in which Kathryn Harkup investigates the poisons used by the murderer in fourteen classic Agatha Christie mysteries. It looks at why certain chemicals kill, how they interact with the body, the cases that may have inspired Christie, and the feasibility of obtaining, administering and detecting these poisons, both at the time the novel was written and today. A is for Arsenic is a celebration of the use of science by the undisputed Queen of Crime. This is an encyclopaedic work written authoritatively by a scientist who obviously loves her Agatha Christie novels. I have to admit to getting a bit lost in some of the more technical/scientific sections but really enjoyed the analysis in each chapter of whether Agatha Christie got it right. Each chapter is headed with the name of a poison (Arsenic, Thallium, Veronal etc) attached to the plot of a particular novel. We get the historiography of the poison, how it works on the human body, real-life examples of its use, whether there is an antidote, and then an in depth treatment of the way it is used in the novel. Quite often the sleuth is Hercule Poirot. Of interest too will be Appendix 1: Christie's Causes of Death, a table listing all of the Agatha Christie novels and short stories in order of publication, and the cause of death in each of them. My Kindle Paper White didn't handle this graphic all that well, but my iPad reader does better. For the technically minded there is Appendix 2: structures of some of the chemicals in this book. By no means a quick read, but an interesting one from many points of view. Kathryn Harkup is a chemist and author. Kathryn completed a doctorate on her favourite chemicals, phosphines, and went on to further postdoctoral research before realising that talking, writing and demonstrating science appealed a bit more than hours slaving over a hot fume-hood. For six years she ran the outreach in engineering, computing, physics and maths at the University of Surrey, which involved writing talks on science topics that would appeal to bored teenagers (anything disgusting or dangerous was usually the most popular). Kathryn is now a freelance science communicator delivering talks and workshops on the quirky side of science. On his return from South Africa, Charles Knox is invited to spend the weekend at the country home of Sir Neville Strickland, whose beautiful wife Rosamund was once Knox's fiancée. But in the dead of night Sir Neville is murdered. Who did it? As suspicion falls on each of the house guests in turn, Knox finds himself faced with deception and betrayal on all sides, and only the enigmatic Angela Marchmont seems to offer a solution to the mystery. This 1920s whodunit will delight all fans of traditional country house murder stories. A differently structured novel, written in the first person but not by the sleuth. Essentially a cozy, sometimes a bit predictable, with the narrator often frustratingly blind-sided by his love for his former fiance, the wife of the victim. Clara Benson was born in 1890 and as a young woman wrote several novels featuring Angela Marchmont. She was unpublished in her lifetime, preferring to describe her writing as a hobby, and it was not until many years after her death that her family rediscovered her work and decided to introduce it to a wider audience. Please note: the above was copied from a note at the end of the Kindle book, but it conflicts with what I found at the author's website: which suggests an entirely different author background. 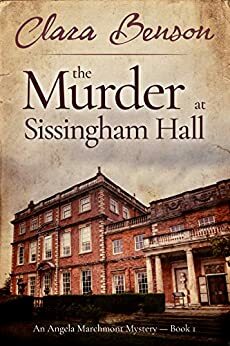 There are now 10 published novels all featuring Angela Marchmont available for Kindle and THE MURDER AT SISSINGHAM HALL is available for $0 on Amazon. Invited for dinner to a rather mysterious medieval mansion, in an obscure English village, are a group of actors, preparing to open in a new play in London. The boisterous and belligerent playwright Cleland Symeon owns the mansion. As the curtain rises, on this odd collection of performers, rather than partaking of a sumptuous dinner, a murder takes place in front of their terrified eyes. I thoroughly enjoyed this outing: It has all the characteristics of a classic country house murder. Hazlitt and Brandon have the advantage of being there when the leading man drops dead and they are not so far from Little Shendon, so they can get their favourite policeman to dance attendance. It comes as no surprise when the verdict is murder, but was the victim the right one, is there unfinished business? I'm not sure now what I felt about this novel. I've had it on my TBR on my Kindle for at least a couple of years and have only just managed to read. I was a fan of the first 3 novels in Millenium series, but I had trouble remembering them through this novel. The novel felt very heavy, too detailed, with the author determined both to uphold the Stieg Larssen style, and to make sure that the reader has all the information. It felt as if there was a lot of new plot data which had not been part of the original novels. There seemed to be too many details about the main characters that I was not aware of. But maybe that was just my forgettery at work. However, I don't think I will read another. Was this Steig Larsson's unfinished manuscript? 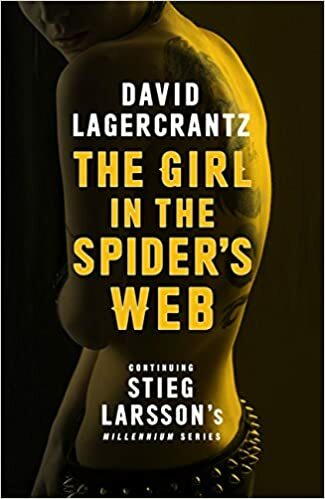 The late author's [ Stieg Larsonn] literary estate is fully controlled by his brother and father, who hired Lagercrantz and have supported the latest book in the series. However Larsson's long-term partner Eva Gabrielsson, has voiced criticism against this project. She possesses an unfinished fourth manuscript of the Millennium series, which is not included in the upcoming fourth novel. She referred to Lagercrantz as a "completely idiotic choice" to continue the Millennium series. Here is what I say elsewhere about "coattails" novels. On the surface this crime fiction novel is a stand alone, but in fact it is the second to feature Federal Police Agent Aaron Falk. However I think it functions well as a stand-alone. Two groups set out on a teamwork exercise - a men's group and a women's group - a bushwalk to cover three nights in the bush, camping along the way. Both groups belong to a corporate company from Melbourne. We learn almost nothing about the male group which completes its walk in time and apparently without problems. However within the women's group there are a number of underlying tensions which almost ensure that the team will fail. If the team does not make the campsite each night then they will have no food provisions as these are stored at each campsite. 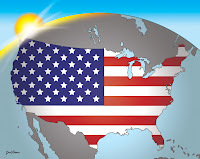 So the potential consequences for misreading the map provided can be catastrophic. One thing that took me aback was that the group had no means of contacting the organisers in an emergency and the organisers also had no way of monitoring the team and its progress. Right from the beginning the reader knows that the women's team is late, and when they do emerge from the bush. one of them is missing. The question is whether "foul play" has occurred. This is an engrossing read. Highly recommended. The novel has been shortlisted for the 2018 Indie Book Awards, the winner to be announced on 26 March 2018. This is much better than your average debut novel, and it really has been sitting in my TBR for far too long. 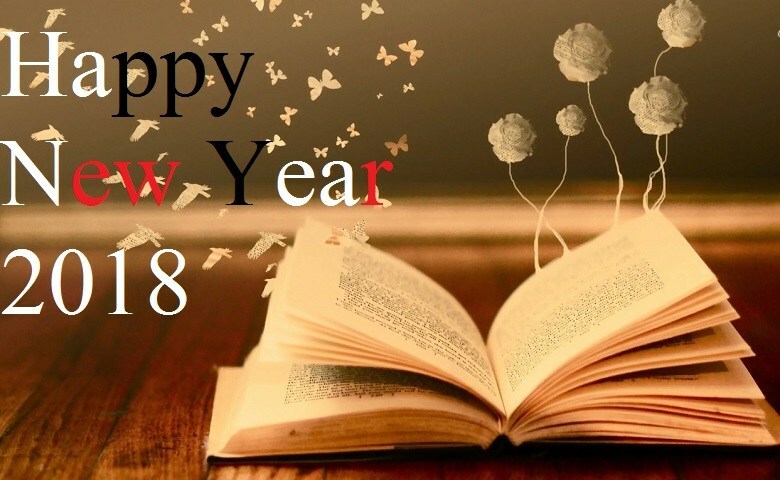 It is filled with strong characters from Marissa Rooney, with 3 ex-husbands, to Seth Crawford police detective, to Lizzie Holt creator of the Holt Foundation. Marissa’s daughter Brooke, an insulin dependent diabetic, goes missing during a night out with her room mate. The problem is that nobody realises Brooke is missing for at least 36 hours. At the time Marissa is working for a law firm in Seattle. The moment Brooke’s room mate contacts her Marissa leaves work to contact the police. As a result she loses her job and is offered another with the Holt Foundation, a philanthropic organisation being set up to support parents finding themselves in situations just like this. Meantime Marissa’s other daughter Kelly is in trouble at school for carrying a knife. It turns out that she is being bullied by other students. The plot shows how much stress Marissa is under. Some of the plot elements felt a bit fanciful, but in general it was a good read, fast moving with plot threads well resolved. This is the second in the Blood on The Snow series, stories about Norwegian contract killers. It is a little longer than the first in the series which I reviewed on this blog a couple of years ago. Jon Hansen is on a bus heading north, as far away from Oslo as he can get. A small time drug dealer in desperate need of extra money to save the life of his young daughter with leukaemia, he took a job with The Fisherman as a debt collector and fixer. 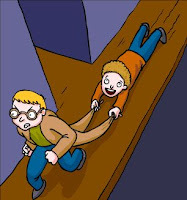 If he can’t collect the debt then The Fisherman expects him to eliminate the person owing the money. But killing things has never been his strong point and he falls at the first hurdle when the victim offers him money in return for letting him disappear. In addition his finger just won’t pull the trigger. And so now The Fisherman is after him and he is on the run. He gets as far as Kasund on the Finnmark plateau and gets off the bus in the middle of the night, spending the rest of the night on the floor of the local church. Saying he is there for the hunting season he takes a cottage some distance out of the village and waits to see if The Fisherman catches up with him. In some ways this is a story of redemption, even a love story. Something a little different, with some humour, but still noir.